Pocket Tactics "RPG Game of the Year 2016" Award Winner! 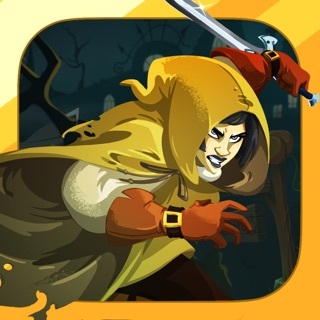 4.5 out of 5 stars - Touch Arcade: "Demon's Rise 2: Lords of Chaos is one of the finest turn-based strategy RPGs on the App Store"
4 out of 5 stars - Pocket Tactics: "Demon's Rise 2 is one of the better role-playing games of the year. It's certainly the deepest in terms of tactical decision-making opportunities and challenging combat encounters." 9 out 10 - KickMyGeek: "Demon's Rise 2: Lords of Chaos is an excellent turn-based, tactical RPG game, with great strategic depth." Demon’s Rise 2 is a turn-based, tactical RPG set in a brutal and unforgiving fantasy world. Taking place amidst a horrific war in the cold north, the campaign will see your party fight innumerable enemies, huge monsters and powerful sorcerers. Victory will require the tactical use of terrain, morale, formations and magic. Build an increasingly powerful war band, command demonic allies, and crush those that stand against you. •	Tactical Choices: Use terrain effects, cover and line of sight to gain an edge over your enemies. Employ spells to hinder powerful enemies, area effect damage to clear the field of lesser foes and buffs to strengthen your allies. •	Build Your Party: Choose from 18 diverse character classes to build your war band. Your warriors will improve with every victory, becoming stronger and unlocking new powers and skills. Acts of courage and savagery on the battlefield will bring favor from your gods, which can mean the difference between glory and defeat. •	Collect Gear: Equip your warriors with powerful weapons, arcane objects, runic armor and legendary artifacts. There are thousands of items to find and collect, each with their own stat effects and background lore. •	Campaign: Fight through a lengthy campaign and numerous side quests that span more than 80 hours of play time. No level caps and the ability to replay levels at a harder difficulty add to the longevity. •	Engaging Lore: Immerse yourself in the history of Tarren, the world of Demon’s Rise. A land of broken empires and shattered kingdoms where armies of humans, demons and other races fight for bitter survival. - New playable character added. The brutal and resilient Stone Troll is now available to add to your party. - Added improved graphics setting for newer devices such as iPhone X and iPad Pro in the options menu. - Added a low graphics setting to allow players to extend battery life during play. - Significant improvement to touch screen controls. - Added a 2-finger vertical pan touch gesture that allows the player to vertically rotate the camera. - Added touch control sensitivity options in the pause menu during battle. - Fixed a bug where a player would lose control of his character if it moved onto a position of a recently defeated enemy. - Fixed a bug where some spells would cause the game to hang if cast in an area that included the original caster. - Fixed bug where camera zoom level would not return to player-defined position at start of player turn. - Added an undo move button that allows players to retake an accidental movement. - Added a confirm end turn dialog to prevent accidental end turn actions. - Improved post processing effects. - Increased hit points of most characters except Werebear for game balance. - Reduced number of enemies and allies in early campaign levels to bring focus back to player characters. I enjoy this game so very much! Great time consumer! As every other customer/reviewer, I have just a few requests. Only two though! One: would you mind making the maps just a bit bigger because with that many heroes and enemies on screen it can get kind of tight. Two: could you maybe add just a few more character to help finish off some of the heroes collections I already have, if y’all don’t mind that is. At least on giant female character would be cool like some elephant lady god or something cool idk, and one smaller deadly character like a red cap or an imp or deadly gnome or something. Other than that keep up the awesome work because I love it when devs update regularly so keep it up! Oh and thank you! UPDATE: okay I finally thought of something, can y’all add a Banshee, a powerful poltergeist, evil butcher (with like a huge cleaver), musketeer black dwarf with a spawnable cannon. Thanks and keep up the good work! There is potential for something amazing in this game but I don’t know if the devs are ever going to pursue it. The mechanics are good but the maps are small. It would be great to see some open maps with options. Also wish they would’ve changed some things from the first game. They switched the characters and optimized some interface but it’s almost exactly the same. Not even sure why there is a “world map” when you can’t do anything four read about a place that you will never visit in game. I hope there is an update for it and we get to play more campaigns. These demon rise games beat almost every other tbs game. Freemium, one time, and one time with in app purchases. If you min/max you will have to raise the difficulty as your party gets incredibly strong once you’ve got ability point generation and damage for auto attackers. But the story is ok. The champions are great and you know what you’re getting. You’ll get about 10 hours out of this if you grind, which is not necessary for normal difficulty. But it’s a good 10 hours with replay ability. It’s not FF tactics but there’s only one game in the App Store that is, that’s more expensive and most of us have already owned it twice. © 2016 Wave Light Games Inc.